This looks so cool! It looks like a perfect vanilla cone. Thanks so much for testing this pattern for me! I’m glad that you like it. It turned out amazing! So cute! I’d like to see it with the cone on the wrong side as well. Interesting thought! Oh cute! I’ll have to Ravel that! Great cone! Its so realistic looking! 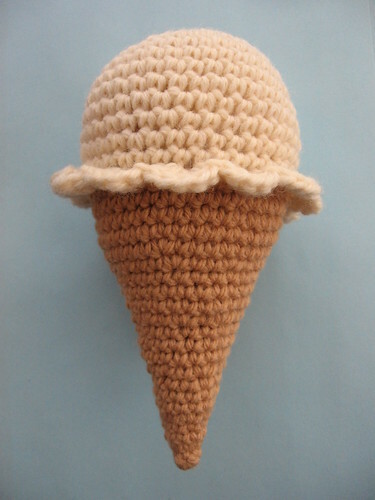 That is the best ice cream cone ami I have seen yet! That’s the kind of ice cream I would LOVE to give the kids! You did a great job on it – by the way. Very cute! And that’s a beautiful shot of the fireworks! Thanks for the great pattern! 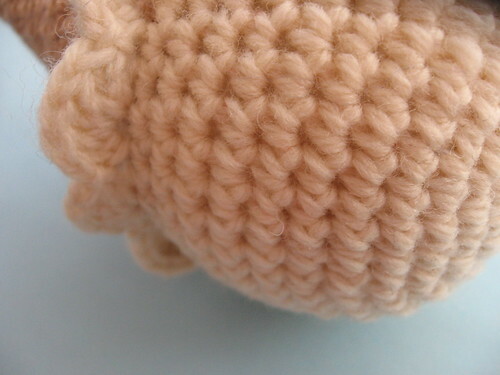 I just learned how to crochet and am always looking for new projects to try! I’m an amigurumi maker and designer of my own patterns. Its always a bit of a problem to find someone with skills and time a to test them, and make any corretions, if needed. Would you let me know how it works and if you`d like to give it a try? You can visit http://www.flickr.com/photos/planetaamigurumi/ to have a look at my work.